Will Sam Alvey continue his title run? Discussion in 'UFC Discussion' started by Degen Gambler, Aug 7, 2015. Smilin' Sam has 3 (T)KO's in a row and will be looking for number 4 against Brunson this weekend. If he can get it he should crack the top 15 and be ready for some big fights. Maybe someone like Bisping or Kennedy would be next. While his TKOs have looked nice, I wouldn't go so far as to call this a title run yet. He has a good ways to go to get to a title shot. I wouldn't mind seeing that either. I like the guy. He has sneaky power too. He doesn't look like much physically, but he drops guys and finishes them. If he wins how bout Whittaker or someone else fringe top 10. If he beats Brunson, especially by KO, I'd have no problem giving the guy someone ridiculous like Vitor Belfort. I wouldn't mind seeing him against James Te Huna. I guess Cung Le is gone, otherwise that would be fun. Alvey is a fun one to watch but Brunson is going to TKO him. Brunson is a rather hefty -400 against Alvey. 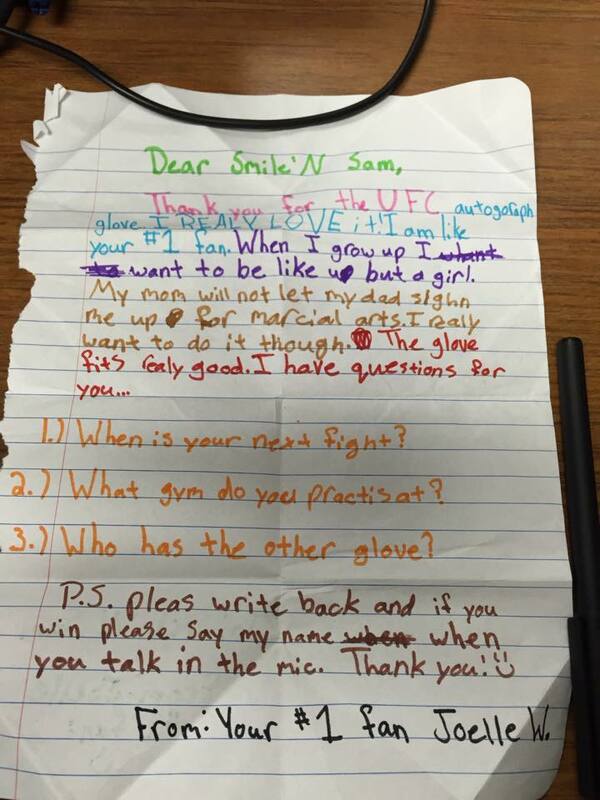 I'm afraid "Smilin" Sam is most likely going to take a loss. Funny part about Alvey is because of his personality and his physique, he doesn't get taken seriously, but the guy is dangerous. I fully expect him to continue his tko streak on Saturday. He needs to impress this weekend and also stay in shape and hope to hop into a short notice fight against a top 10'er. He's running the risk of having a Magny type run otherwise. I like Smiling Sam. Has a unique style (wait until finding that one opening and then lights out) but I'm not sure how it will work against top 15 opposition. I'm pulling for him anyways. Nah, he's gonna get taken down whenever Brundon feels like it. Brunson is gonna beat him. His run stops here. I wouldn't call it a title run, but I sure love watching him fight. "As if I needed more motivation for my fight on Saturday"
Am i the only one who thinks Sam's wife is hot?